Harry Potter And The Cursed Child opened to preview audiences this week, and the response has been very positive. The lucky few who got to see early showings, of both parts one and two, have revealed a few features of the stage production – but don’t worry, they don’t spoil the plot. So what can fans expect to see when the show officially raises the curtain on July 31? As reported by Mashable, this Instagram post is pretty clear about the setting when the curtain goes up. Centre stage we see Rose Granger-Weasley, played by Cherrelle Skeete, the daughter of Hermione and Ron seemingly waiting for the sorting hat to tell her which house she will belong to. With actor Anthony Boyle receiving a special mention from the tale’s author on Twitter it would be fair to assume he is not just a small part. That or Rowling is just a lovely person to work with. But coupled with the fact Scorpius is one of only a handful of characters to have a portrait released ahead of the production, I’d say expect to see a lot of the blonde son of Draco. Young Draco was an obnoxious little bully when he first set foot in Hogwarts, and he didn’t get much better as he became ‘chosen’ by ‘he who must not be named’. But when you see the adult Draco next to his offspring Scorpius, there don’t appear to be many similarities. Scorpius looks sheepish and uncomfortable, and hopefully less prejudiced towards those with muggle blood. #HarryPotter #CursedChild 1st preview blooper! No spoilers, but… An owl just got loose in the theatre. ? Intermission owl hunt backstage! As brilliant an idea as it was, the old adage of never working with animals sadly rang true after one got loose in the theatre. 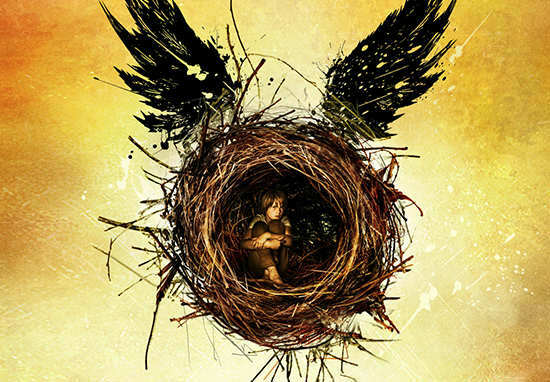 The production of Harry Potter and the Cursed Child is currently in its preview stage, with the process designed to allow the creative team time to rehearse changes or explore specific scenes further before the play’s official opening. As part of this process earlier this week the decision was made not to feature live owls in any aspect of the production moving forward. The owls that were associated with the production were expertly cared for by a team of certified trainers and an on-site specialist veterinary surgeon (Steve Smith, MRCVS) who ensured the owls’ welfare and enrichment needs were safeguarded at all times. This was of utmost importance to the production. Just as love was central to the first seven installments it appears to be prevalent to the latest story too. Even J.K. Rowling has told fans they should have kleenex at the ready for this one. Why? We aren’t too sure, but she has never been adverse to killing characters off. I mean, she’s no George R.R. Martin, but I think everybody still misses Fred Weasley. @jk_rowling Will the Cursed Child make me cry? I think this play may prove very popular!